If you want to raise a family in an environment that encourages positive development, then you can’t go wrong with Newark, New Jersey. Offering a variety of museums, libraries, and performing art locals such as the New Jersey Performing Arts Center, Newark proves to be a great place to inundate yourself and your brood in culture. Should Newark sound like your dream town, then don’t hesitate to move in as soon as you can! But, of course, a dream town is nothing without a dream home within it. And to get your home looking like an absolute dream, you might consider having quality marble tile installed therein! And for residents in and around Newark, the go-to expert for all your tile needs should be none other than Kennedy Tile & Marble Inc. With over three decades of experience in the trade, we at Kennedy Tile & Marble Inc. can provide you with quality materials cut to your exact specifications thanks to our wide selection of natural stones and our custom stone fabrication services. Marble Tile In Newark, Nj. If you are looking for marble or tile in Newark for your flooring, walls, or countertops, then you can’t go wrong with marble. Beautiful, durable, and long-lasting, marble will prove to be a great material for adding both attractiveness AND value to ANY home. To enjoy the most of this attractiveness and value, however, you need to be sure to get only the best-quality marble. And our tile and marble experts offer just that: high-quality marble for all of your home-improvement needs. And with our dedication to always low prices, you can make your home as beautiful as possible without breaking the bank. Custom Stone Fabrication In Newark, Nj. There are many ways that you can use marble in your home. 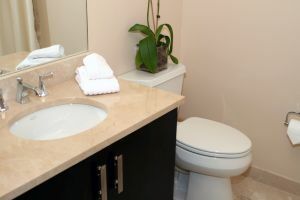 It can be a countertop in your kitchen or bathroom. It can be flooring. It can be tile for your walls. It can even be the backsplash in your tub or shower! Of course, all of these applications require specific measurements and cuts. And to get your marble or other natural stone product cut to your exact needs, call on Kennedy Tile & Marble Inc. for custom stone fabrications today!